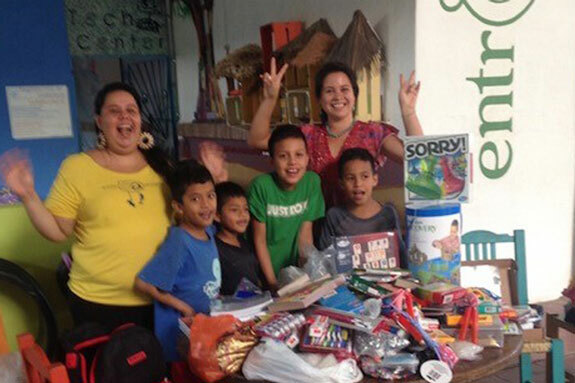 PfaP Travelers Magnify Supplies in San Pancho (San Francisco) Nayarit, Mexico! My name is Caren Elkan-Spencer. My children and I own and operate San Pancho Rentals, a vacation rental agency servicing the quaint pueblo of San Francisco (San Pancho) in Nayarit, Mexico. Our guests travel year after year to this unique community mostly from the US and Canada, however, more and more travelers are coming from all over the world because of the warm winter season, pristine beach and ocean, and laid back and friendly inhabitants. Over the years, travelers began purchasing homes and bringing their friends and family to enjoy the tranquil atmosphere. Last year, a fellow homeowner/innkeeper contacted me and asked if I was interested in assisting our local community center, Entreamigos, through the Pack for a Purpose Program. 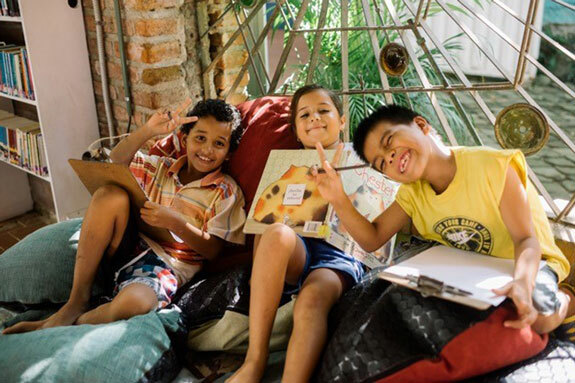 Entreamigos, a nonprofit organization, hosts an established community center dedicated to increasing learning opportunities for disadvantaged children and families through the implementation of educational programs. These programs are based on integration and collective community action. 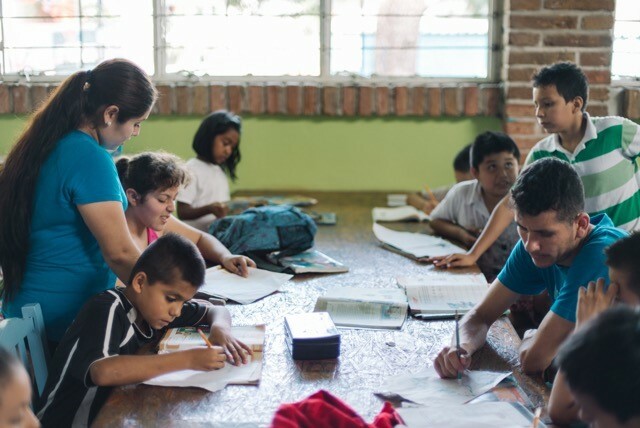 Entreamigos’ staff of volunteers and teachers provide educational workshops and classes to 300 students per year, sponsor school scholarship programs for 81 students, and provide children with homework tutoring. Last year alone, the teachers and volunteers provided tutoring 1,300 times. Because of their integration of natural elements and innovation in the use of recycled materials, the Entreamigos building is recognized as a model facility for environmentally responsible design. 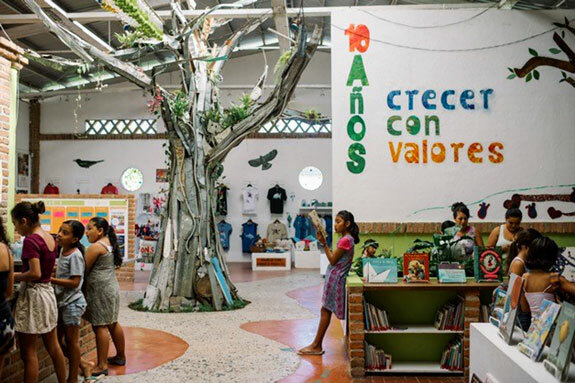 Entreamigos is truly a wonder of sustainable design and a great place to visit for anyone! Through the years, I have watched hundreds of homeowners, travelers, friends, business owners, parents, teenagers, doctors, lawyers and grandparents donate thousands of hours of their time to assist in many different fundraising events. The support of Entreamigos from the community at large has been incredible and continues to be. Donated items contributed from visitors via Pack for a Purpose are being used to augment the center’s constantly depleting resources and will continue to be used in the future. Additionally, the donated items will help support adult productivity workshops. Since San Pancho Rentals has access to a tremendous amount of incoming travelers, I was very excited to have the opportunity to help. My son added a designated Pack for a Purpose web page to our website. 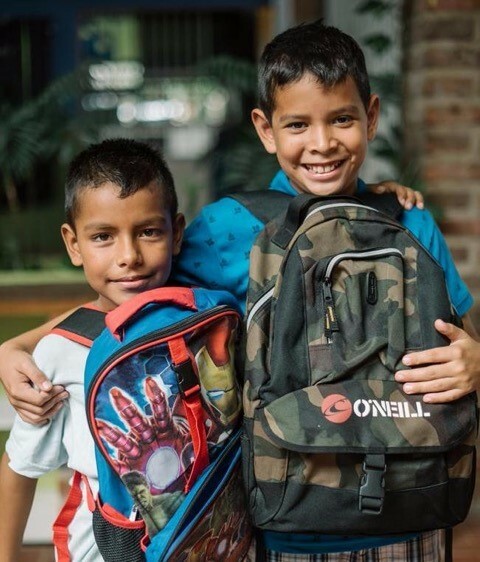 We also devised a letter which we send to all of our incoming clients, explaining the Entreamigos program and asking if they would be willing to bring a donation of supplies in their suitcases via the Pack for a Purpose program. To make it easier for our guests who are only here for a short vacation, we have offered to pick up their packages from their rental homes. Guests are also more than welcome and encouraged to visit the Entreamigos facility and bring their donations along with them. I have to say, I have been completely overwhelmed by the positive and generous response from our guests. Many families have requested facility tours and many have just dropped by the facility to see what was going on. During the first month of the inception of the Pack for a Purpose/San Pancho Rentals/Entreamigos endeavor (December 2015), San Pancho Rentals guests brought 275 lbs. of supplies!! In a 12 month period, from December 2015 through December 2016, San Pancho Rentals guests’ have brought and donated an incredulous 922 lbs. These supplies included 5 laptop computers!! The generosity of our guests and the ability to link their generosity with Entreamigos via Pack for Purpose is monumental! It sincerely warms my heart to see that all of the items donated were truly purchased with love and caring. I can’t describe the enormity of the impact it made for me, personally. 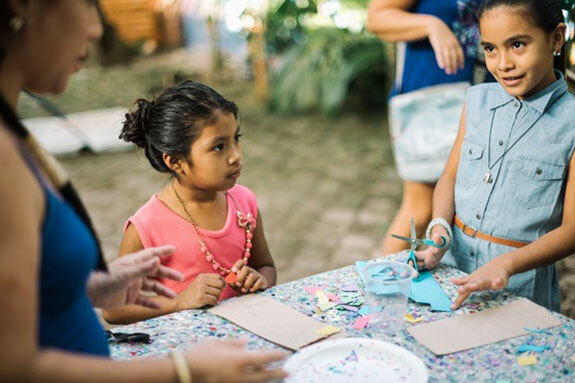 I want all of our guests to truly know how much the items they brought are needed and will be used by the children and families of San Pancho (San Francisco). From the bottom of my heart, thank you all for your kindness and unselfish generosity!